The Defined Height of Luxury. Top Seven Star Hotel in the World | Burj Al Arab | Morgan Plaza | Flower of the East | Centaurus | Pentominium. Construction on the Burj Al Arab in Dubai began in 1994 and was modeled after the sail of a famous Arabian ship. The appearance was created by using teflon-coated fiberglass and white materials that resemble a mast when viewed from a distance. The hotel is an architectural masterpiece. The foundation was constructed on an artificial island and the hotel is home to the world’s tallest atrium. 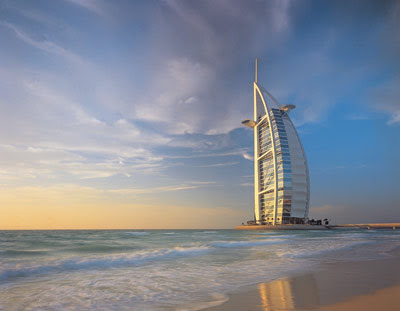 While the Burj Al Arab likes to believe it is the world’s only seven-star hotel, it is officially known as a five-star deluxe hotel on the standard star system. 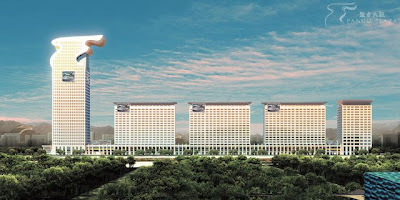 The Morgan Plaza, also known as a seven-star luxury hotel, is still under construction is Beijing, China but it is anticipated that construction will be complete in March of 2008. The hotel itself will be situated in the Morgan Plaza and will be one of many various buildings in the bustling district of Changan. The hotel will be situated near a myriad of national landmarks. It is hoped that the hotel, a pivotal building in the plaza long with pavilions, a temple, and a famous restaurant, will be completed before the Summer Olympics in Beijing in 2008. China stands to benefit greatly from increased tourism due to both the Olympics and the appeal of the new plaza itself. 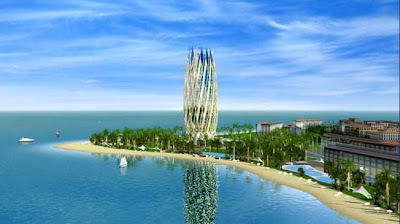 Located on Kish Island in Iran, the began construction in 2004 and officials hope to see it reach completion by the year 2010. The hotel is the centerpiece of a complex development project which will include a number of hotels, residential condos, and businesses. The Flower of the East hotel is designed to look exactly as it sounds – like a flower. Designed with a combination of Persian and Modern architectural influences, the seven-star hotel will be surrounded by a beautiful park and will be visible from every area of the development. 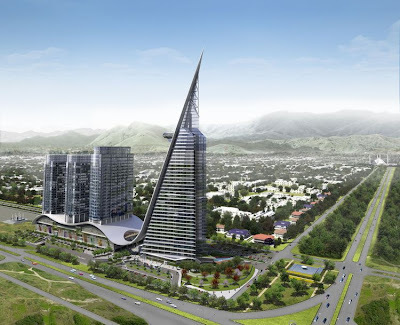 will be a seven-star hotel located in The Centaurus development project upon its completion, projected to be in 2010. Officials in Pakistan hope that the entire plaza will serve as a symbol of both the country’s personal and international growth. The hotel itself will be 37 stories tall. in Dubai, is better known as an apartment building as opposed to a hotel. Even still, once it is complete the building will be the second tallest building dedicated to residential living in the world. The project broke ground in 2007 and the anticipated date of completion will be in the year 2011. The complex will aim to provide luxury amenities, much like a hotel, including butler service, the use of luxury vehicles, and sailing trips.